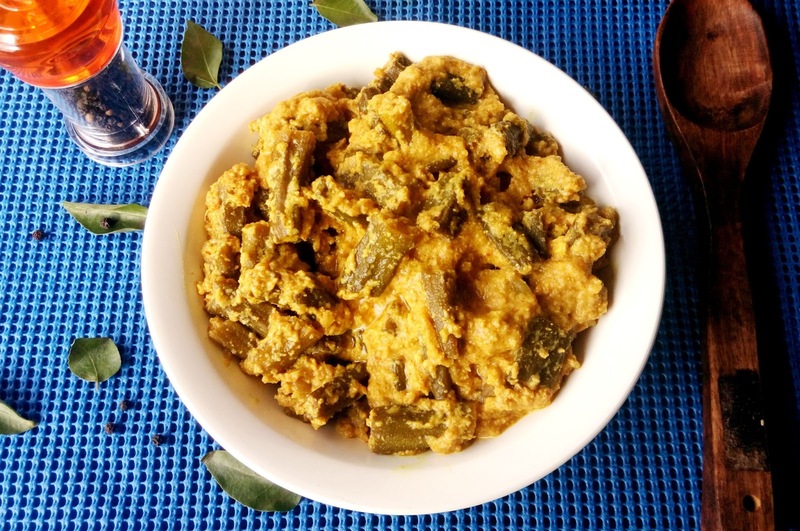 Bhindi or Okra is an all time favourite in my house hold.I prepare it for main course in many forms.One of the way of preparing okra is this Bhindi ka salan. This coconut based gravy can be used to prepare Mirchi ka salan too.The recipe is fast and amazingly tasty and can be prepared in gatherings at home. 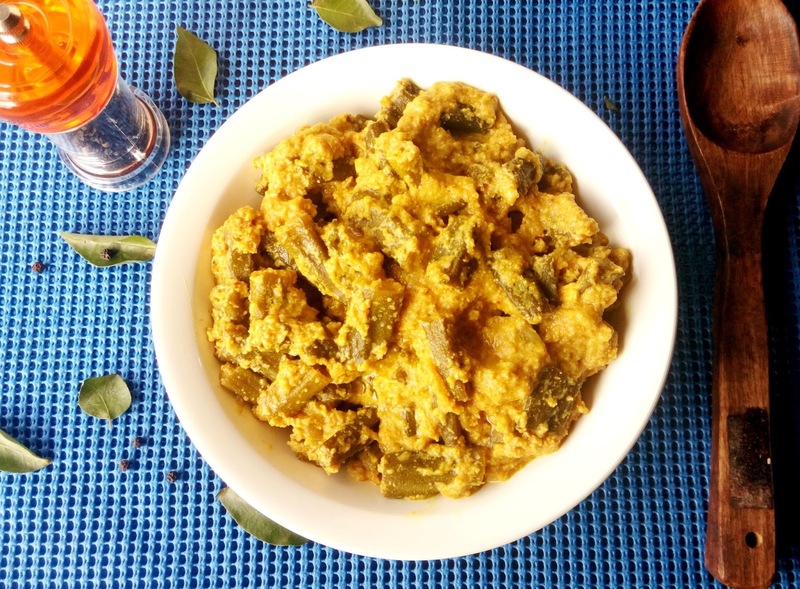 I prepared this recipe for the first time around five years back.i saw it in a TV cookery show.I have modified the original recipe a bit.The result is still a crowd puller! Wash okra in water and let them dry thoroughly. Now remove both ends of okra.If okra is too big then divide it into two. Take a thick bottomed pan.Heat vegetable oil at high temperature for frying okra.Deep fry okra in the oil till they become soft.Now remove okra from oil and place it on absorbent kitchen towels. Now take another pan.Add vegetable oil to it.Saute onion in it till brown.Add peanuts to it and roast them on medium heat till they are brown.Add coconut to it and saute till its slightly brown.Keep stirring to avoid burning. Add sesame seeds to this pan and roast them too.Add ginger garlic paste and green chillies to the pan.Stir well. Let the mix cool.Now grind this mixture in grinder with water to get a fine paste. In the same pan,add vegetable oil.Once it is hot add cumin seeds and let them splutter.Add coconut paste and cook on medium heat till mixture leaves oil. Now add curd,red chilli powder,coriander powder.turmeric powder aand water to the pan.Cook for 5 minutes.Add salt and stir well. Add fried okra to the pan,stir well and cook for 5 minutes on low heat..